PWA was challenged with the task of restoring the interior of this iconic historical Mission Hills home to its original 1920s glory, being ever mindful of keeping its integrity, while making adaptations to bring the house up to 21st century living. While all the infrastructure – electric, HVAC, and plumbing – had to be renewed and replaced, all the trades were directed that the original finishes that needed to be disturbed were to be respectfully protected and preserved as much as possible. 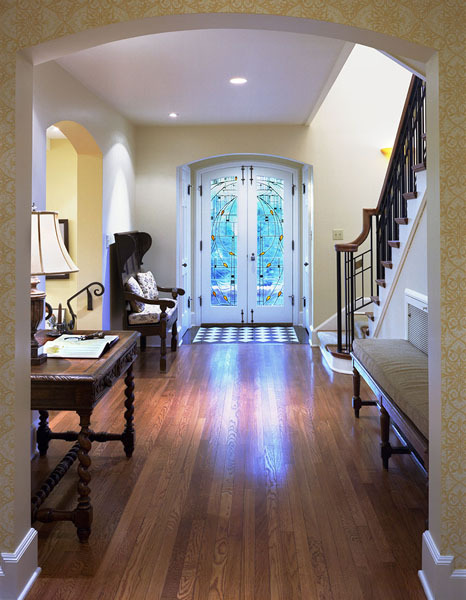 Custom stained-glass front entry doors allow natural lighting without sacrificing privacy. 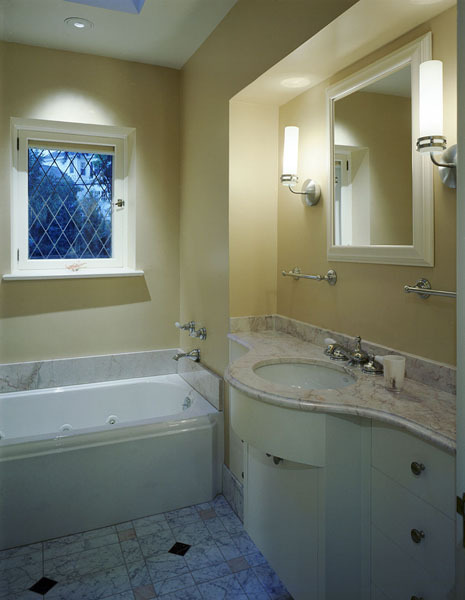 All internal doors and windows and associated hardware were restored and left in their original locations, and where other finishes and fittings needed to be replaced, they were custom built to faithfully match the era. 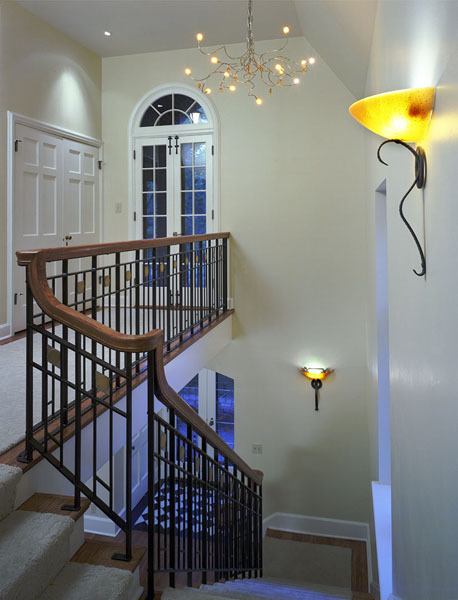 Consequently we had commissioned custom stair balusters and lighting to replace elements too far gone for satisfactory restoration. 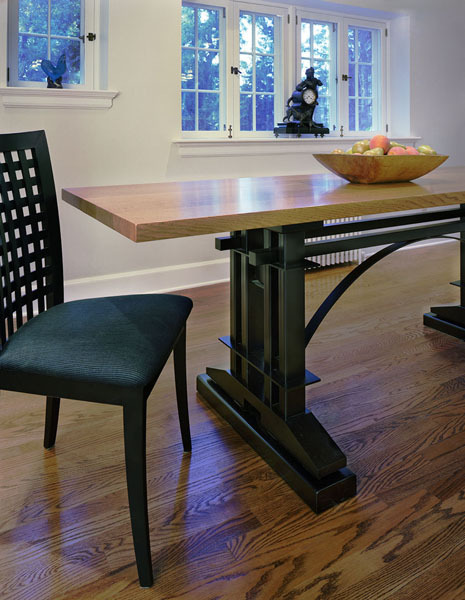 Likewise in the kitchen and bathrooms, modern-day fixtures and fittings were chosen with equal sensitivity. 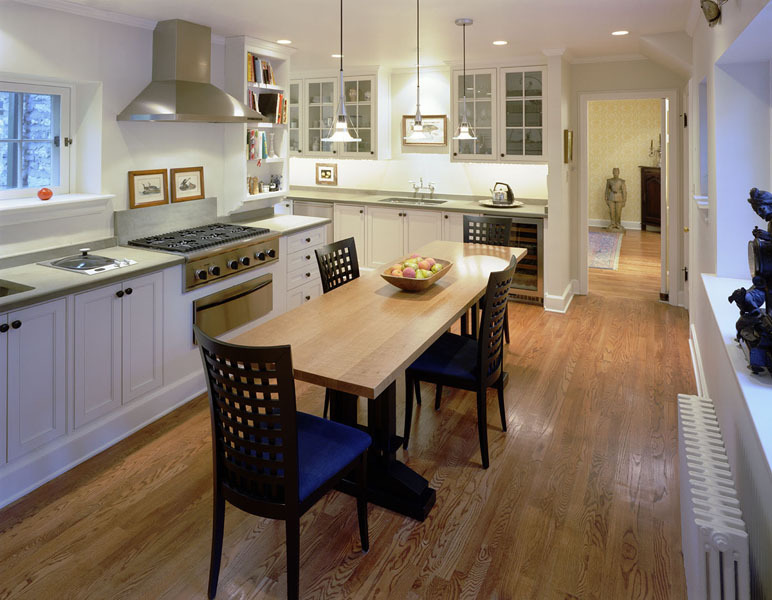 The kitchen was completely rebuilt out of the shells of the original cook’s kitchen; butler’s pantry, and dry pantry, again using custom-built cabinetry and fixtures to recall the 1920s, but completely upgraded to accommodate a modern-age family.